New Delhi July 13 (IANS) One doesn t have to be an activist or an environmentalist to make a difference about deforestation "The Trees Told Me So" author and journalist Purva Grover said during an "adda session" on "missing trees and vanishing forests" on Thursday. Organised by Niyogi books the resolution-oriented session comprised a panel discussion with environmental journalists and photographers. It aimed at spurring "intellectual and plan-oriented conversation on the growing issue of deforestation and how to counter it". The Delhi-based publisher said the immediacy of the solution is necessitated by the immediacy of the cause. "Deforestation on a daily basis is causing an increasing number of life-threatening problems like the loss of habitat increase in the amount of greenhouse gases soil erosion flooding and a constant destruction of homelands for the tribal people " the publisher said adding the aim is to organise ideas big and small and generate immediate systems for advancement for each locality. 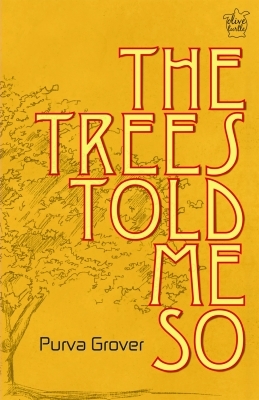 In her book Grover has used the tree as an underlying symbol and catalyst for most of her tales about love life and loss to move forward. Photographer and nature enthusiast Shivang Mehta who penned a photographer s take on the dramatic rise in the popularity of tigers in the past decade in his book "A Decade with Tigers" highlighted the monumental role social media plays in nature conservation. "Images are powerful tools to convey a message. Whether you live in a city or visit jungles there are images that tell a compelling story pertaining to nature and environment all around you " said Mehta who in his book has chronicled changing landscape of tiger photography in India along with the survival tales of tigers. Journalist Henna Rakheja who has written extensively about the #GiveUp campaign initiated by the World Wildlife Fund (WWF) which encourages people to curb some habits and lifestyles which burden people s lives and the environment also spoke on the ocassion. Sourabh Sengupta of NGO Swechha India -- which campaigns on environment conservation -- focussed on the need to "sensitize the masses" about the issue at hand. Through the two-hour informal session the organisers hope to direct change from "walking into a world filled with barren lands disasters and scarce water for sustenance to a land filled with mango trees misty forests and large filled up water bodies enough for us to sustain ourselves and the many generations that are to follow".